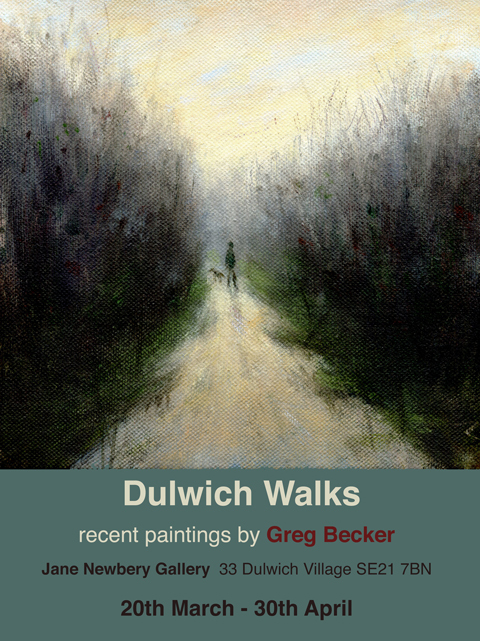 Since leaving the Royal College of Art in the 1980s artist & illustrator Greg Becker has lived and worked in the Dulwich area of south London were he finds his daily walks an essential source of inspiration. 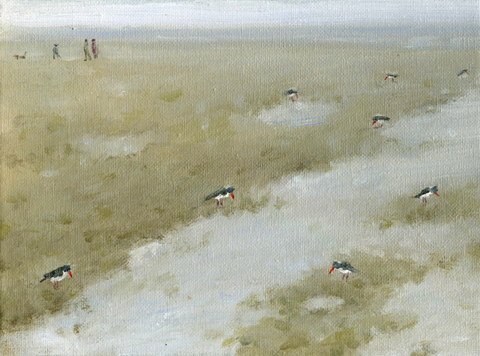 His atmospheric paintings show small figures moving through bleak coastal & park landscapes punctuated by a variety dogs and Seabirds. 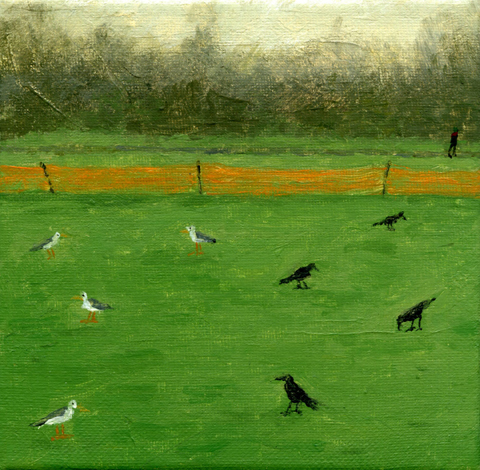 Here he describes the inspiration behind images created for his Dulwich Walks exhibition, opening tomorrow at the Jane Newbery Gallery, in Dulwich, of course. 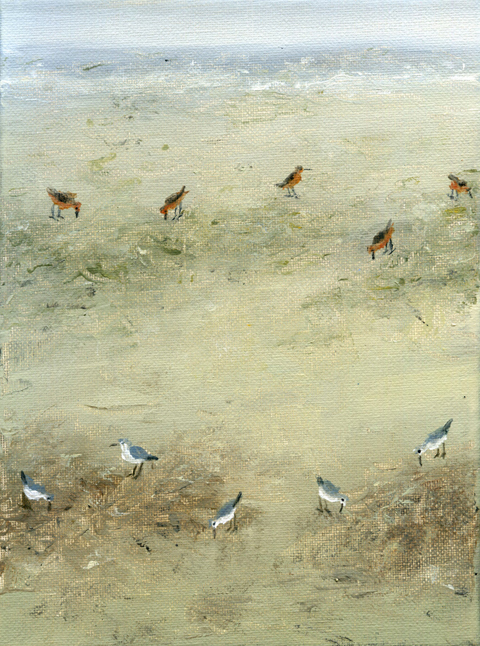 'Creating my ‘Dulwich Walks’ exhibition was a journey that led me along many paths. I had 10 months to explore the various different routes I could take and took full advantage of the diversions on offer, including frequent visits to the ever popular province of Procrastination. 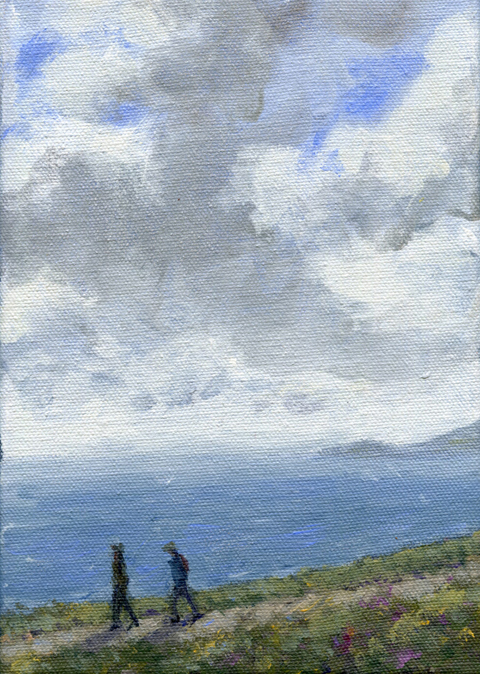 After the summer of 2013 I began painting recollections of wet coastal walks in Wales and West Sussex, but by November this came to a full stop as the memories unexpectedly dried up. Searching for inspiration I wondered down the garden path and discovered a new passion for winter flowers, enjoying their sparseness and delicacy, I painted what ever I could find. Even in late December there were Daisies, and Pink Geraniums somehow surviving the endless downpours. But white roses, I couldn’t find, making me want them all the more. 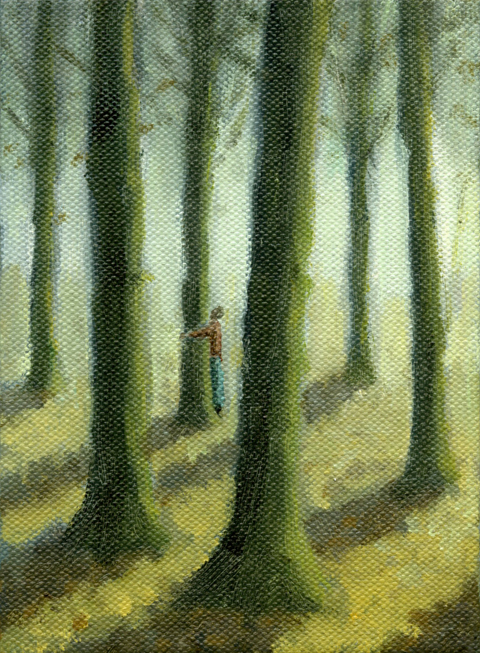 Eventually I found one in a local park looking suitably vulnerable and bedraggled and committed the heinous crime of stealing it. The guilt of this act ruined everything and to this day the studio has the remains of this flower, still unpainted, it’s dried withered petals a constant reminder of my pretentious folly. 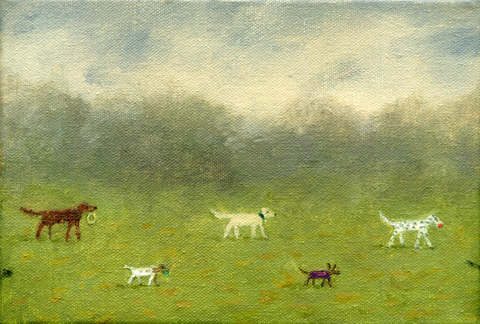 A new direction was needed and almost to repay any offended municipal gardens I changed to painting parks. I found kittiwakes and even cormorants there, making it seem like a return to the coast, only with city rather than sea as a backdrop.